An aerobic treatment unit may be the best wastewater disposal system for your home. Aerobic treatment units are similar to standard septic systems in terms of how they both use natural processes to treat wastewater. However, aerobic systems use oxygen to break down the organic matter that comes from a household. For this reason, aerobic treatment units are more similar to municipal wastewater treatment systems, but they operate on a much smaller scale. 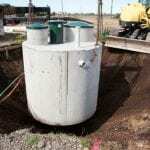 At Clark Septic, we install and service aerobic treatment unit systems in the Orlando, Florida area. Whether you are thinking about switching to this type of wastewater disposal system or you need help maintaining your current one, we are here to help. 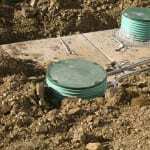 Depending on where you live, you may be required to install an aerobic treatment unit on your property instead of a traditional septic system. This usually occurs in areas where the soil cannot handle the effluent from a septic system due to an increased risk of soil-clogging. We can help determine which areas can benefit the most from aerobic treatment units and which places can benefit from either a standard septic system or one of these alternative systems. With almost two decades of experience in the septic industry, the best place to turn for all your wastewater treatment needs is to us here at Clark Septic. We would be happy to discuss your individual home’s wastewater treatment needs and provide you with further information about the many benefits associated with an aerobic treatment unit. Give us a call today! At Clark Septic, we offer high-quality services for aerobic treatment units in Orlando, Altamonte Springs, Kissimmee, Ocoee, Pine Hills, Winter Park, and Winter Springs, Florida.